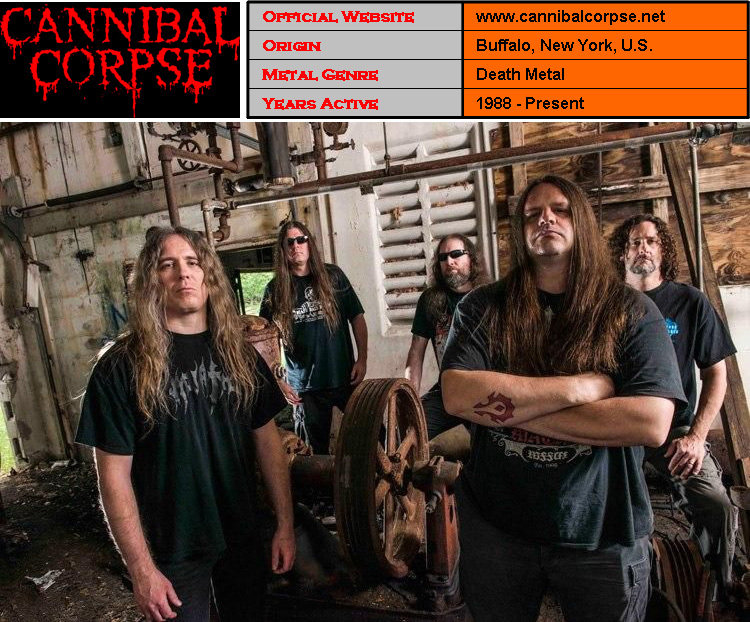 ﻿ Cannibal Corpse Archives - Death Metal | Extreme Metal | U.S.
Cannibal Corpse is an American death metal band from Buffalo, New York. Formed in December 1988, the band has released thirteen studio albums, two box sets, four video albums and one live album. The band has had little radio or television exposure throughout its career, although a cult following began to build after the release of the 1991 album Butchered at Birth, and 1992 album Tomb of the Mutilated. 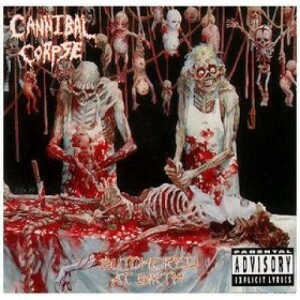 As of 2015, they had achieved worldwide sales of two million units for combined sales of all their albums, making them the top-selling death metal band of all time.